Thank You for a Great 2016 Fall Open Studios! 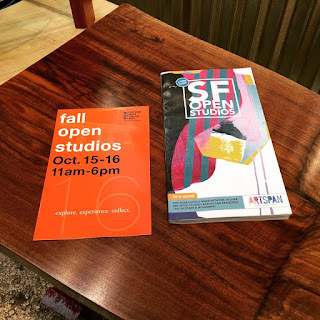 last weekend during Artspan's 2016 Fall Open Studios. If you missed the opportunity to visit us during our annual open studios, a visit to our workshop is available by appointment any time of the year. 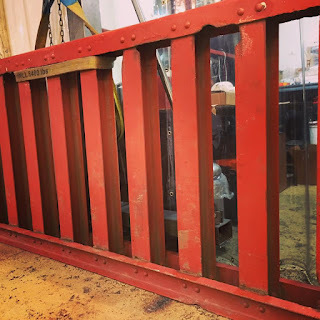 If you missed the opportunity to visit our workshop earlier this year during Spring Open Studios, our Islais Creek Studio will be open to the public again this Fall. Join us on Saturday, October 15 and Sunday, October 16 for an opportunity to visit our workshop and see our designs in person. Additionally, a visit to our workshop is available by appointment any time of the year. keep a piece of San Francisco in your heart! Now you can always keep a piece of San Francisco with you! 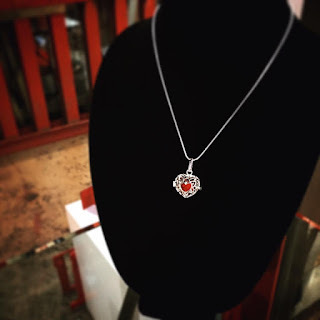 Available in either a silver or gold heart-shaped locket with a matching 18" chain. 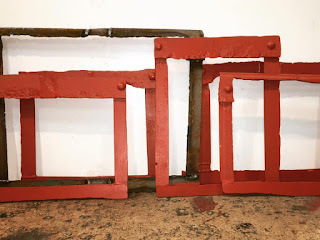 Our pendant contains a small piece of the original Golden Gate Bridge, which comes from a section of the historic handrail material as we are crafting our larger furniture designs. 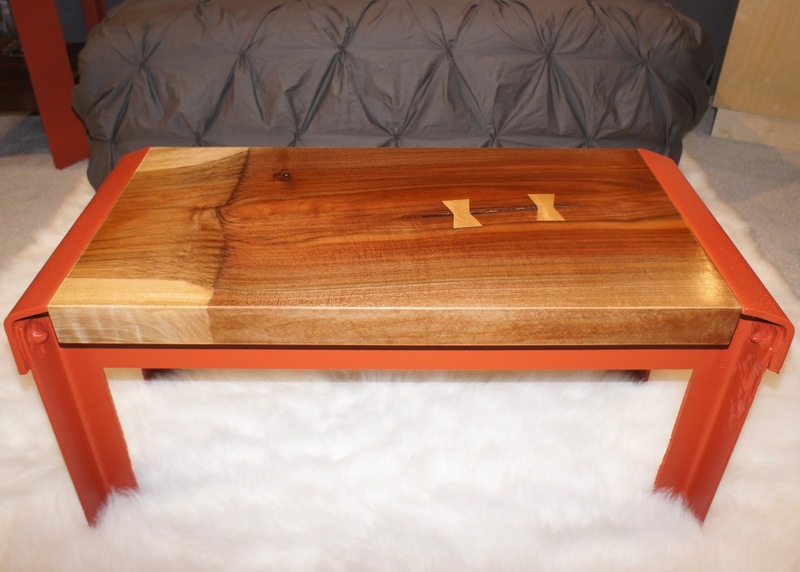 Also available this summer are our new accent pieces for your desk, table top, or bookshelf. Available in a variety of sizes, our small accent pieces can function as paperweights, bookends, or simple visual interest. 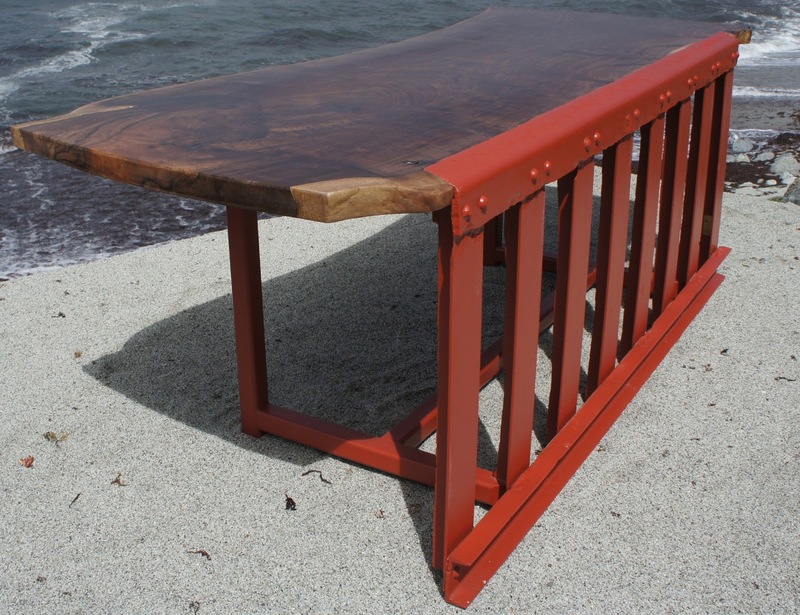 Available with either an original patina finish or given a fresh coat of International Orange, each piece comes from a section of original Golden Gate Bridge handrail as we are crafting our larger furniture designs. 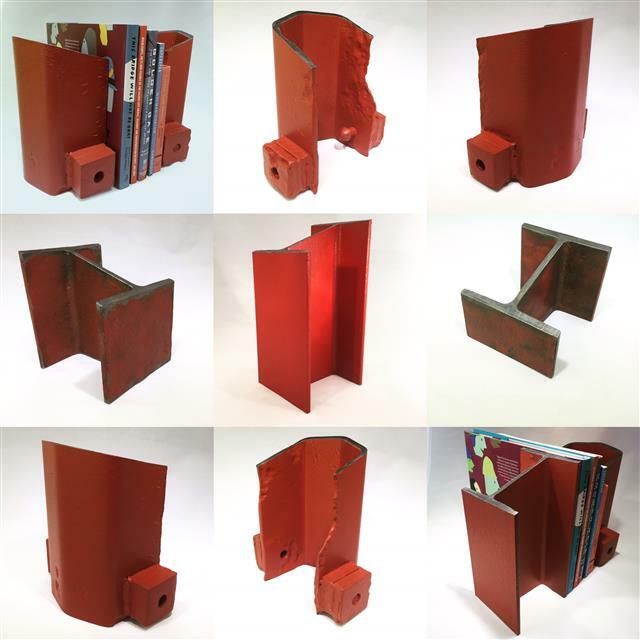 Sizes vary, may contain mild weathering, number stamps, or letter stamps. 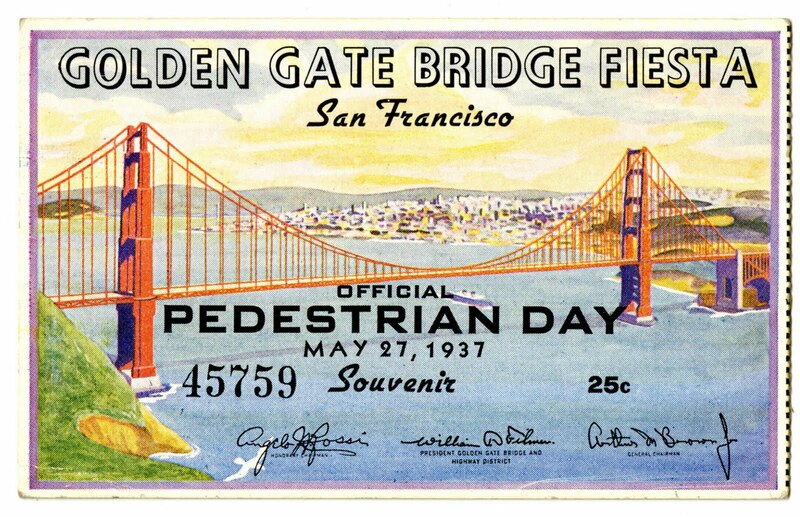 This month marks 79 years since the opening of the Golden Gate Bridge. 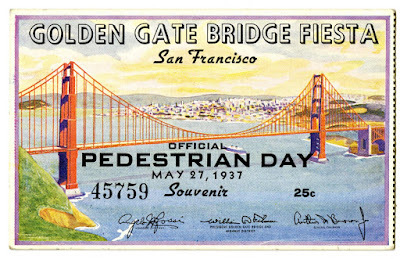 It first opened to pedestrian traffic on May 27, 1937 with an estimated 200,000 pedestrians crossing the bridge that first day. The bridge then opened to vehicle traffic the next day. 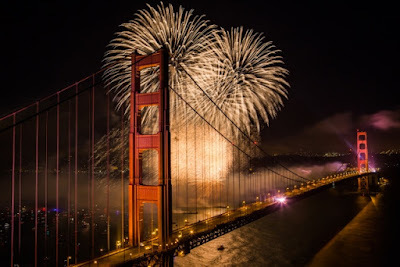 The weeklong Golden Gate Bridge Fiesta celebration included nightly pageants at Crissy Field with parades, fireworks, and various entertainment. Did you know that May 17th was National Walnut Day? The first National Walnut Day was in 1949, proclaimed by the Walnut Marketing Board to promote the consumption of walnuts. It was made official by a Senate Resolution that was signed in 1958 by President Dwight D. Eisenhower. The two most common species of walnut are the English Walnut and the Black Walnut. The Black Walnut is native to North America, but taste and difficulty to hull the shell prevents its commercial growth for nut production. It is the English walnut that is cultivated for commercial production, with 99% of the nation’s walnuts being produced in California's Sacramento and San Joaquin valleys. 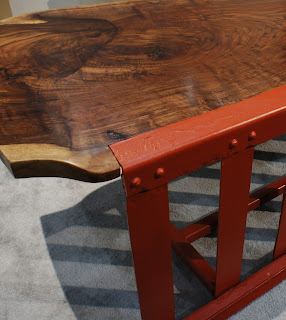 In years past, since the native California (Black) Walnut did better in the California environment, English Walnut would be grafted onto root stock of the native Black Walnut. As the trees matured in the orchards, the two species grew together and you could see the distinctive graft line in the trunk where the two different colors and textures of bark would meet. 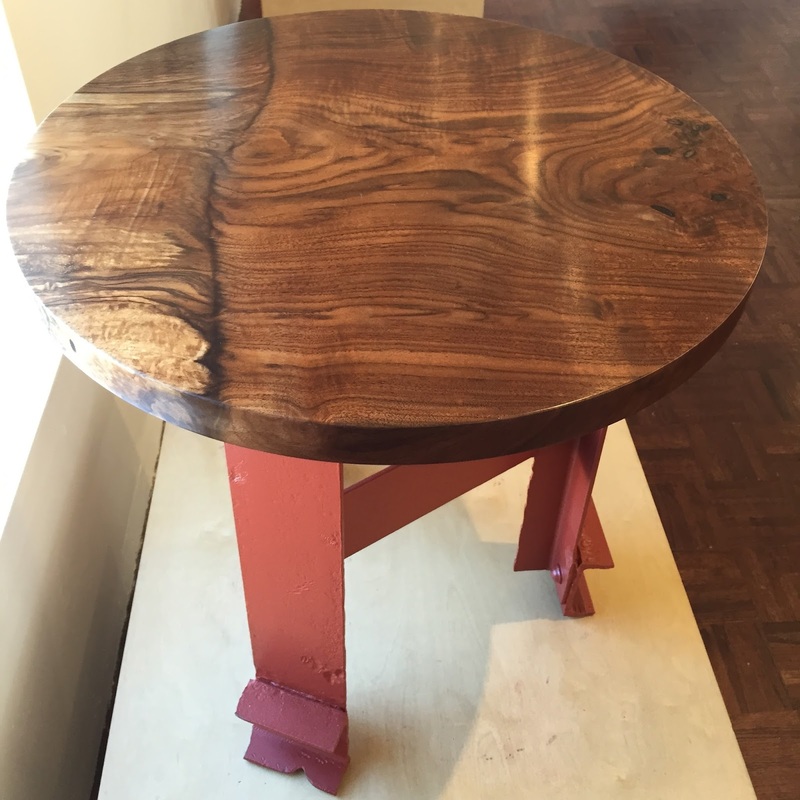 After many years, as the grafted trees were removed, some were salvaged to be used for lumber by artisan woodworkers. If lucky, you would sometimes find a piece that contained the graft line where the two species grew together, creating beautiful swirls of light and dark in the finished surface of the boards. This marbled combination of wood texture is sometimes referred to as Claro Walnut by woodworkers. The history and the uniqueness of Claro Walnut containing a graft line is a perfect complement to the Golden Gate Bridge handrail material, and we have been lucky enough to find a few pieces of this locally salvaged wood to incorporate into some of our designs. 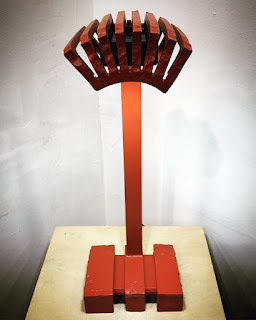 Below is a gallery of some pieces we currently have in stock and available. 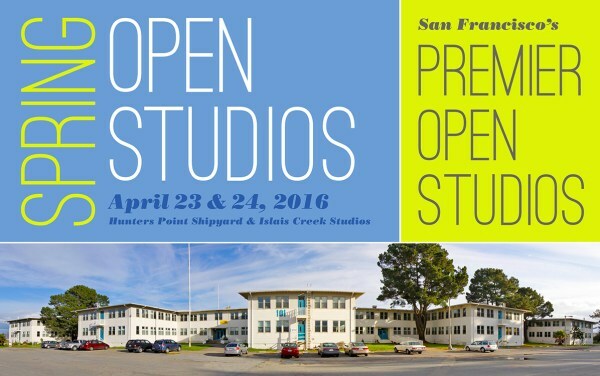 If you missed the opportunity to visit our workshop last year, our Islais Creek Studio will be open to the public again this Spring. Join us on Saturday, April 23 and Sunday, April 24 for an opportunity to visit our workshop and see our designs in person. Our workshop will be open on Saturday from 11:00 am to 1:00 pm, and on Sunday from 11:00 am to 6:00 pm. RSVP at info@goldengatefurniture.com or 415-661-6263. 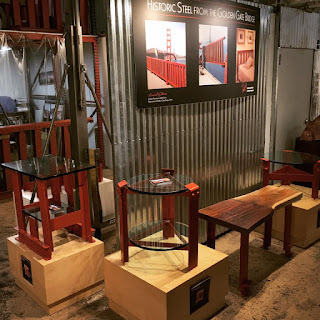 If you missed the opportunity to visit our workshop in recent months during our Fall and Holiday Open Studios, our Islais Creek Studio will be open to the public again this coming Spring. 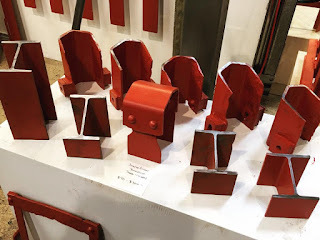 Join us on Saturday, April 23 and Sunday, April 24 for an opportunity to visit our workshop and see our designs in person. 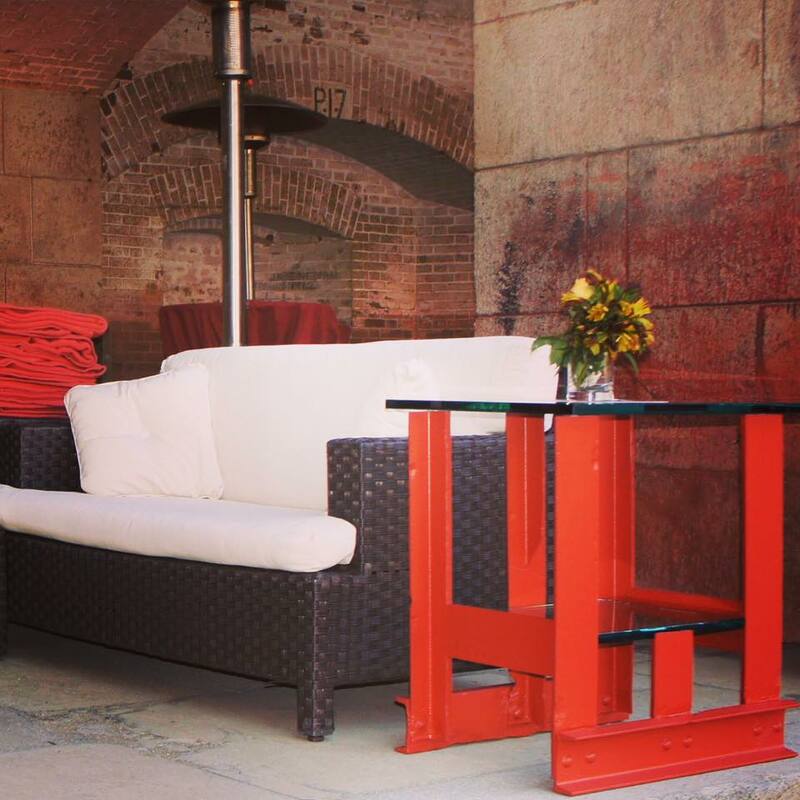 We create Limited Edition Artisan Furniture from original steel that was placed on the Golden Gate Bridge during its construction in the 1930’s. 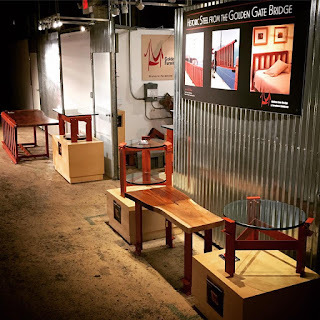 Specifically, our designs are crafted from sections of pedestrian handrail that were removed during the Bridge’s handrail replacement in 1993.